Editor's note: Daveed Gartenstein-Ross is a senior fellow at the Foundation for Defense of Democracies and an adjunct assistant professor in Georgetown University’s security studies program. He is the author or volume editor of fifteen books and monographs, most recently China’s Post-2014 Role in Afghanistan. The decision by freshly minted Afghan President Ashraf Ghani to make his first overseas trip to China is symbolic. Ghani arrived in Beijing on Tuesday, in a visit that underscores both the extent to which Beijing has the resources to be one of Afghanistan’s critical post-2014 players, and also China’s desire to bring stability to its neighbor. But it’s a relationship that the United States should keep a close eye on moving forward. Afghanistan’s geopolitical landscape is, of course, being shaped by the U.S. drawdown of combat troops, a move that will place a heavy burden on Afghanistan’s already stretched national security forces. 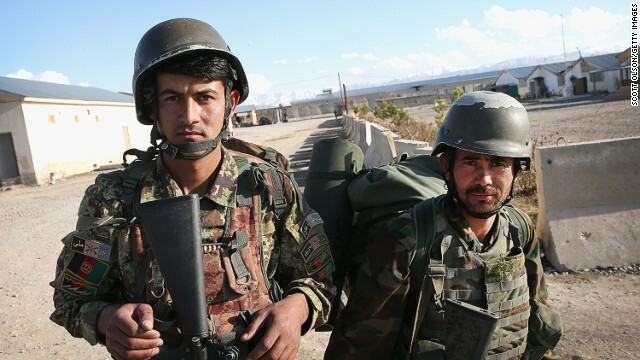 After all, these forces have already faced numerous operational difficulties, and the withdrawal of most U.S. troops is widely seen as opening a door to a resurgent Taliban. Editor's note: Ahmad Majidyar is a senior research associate at the American Enterprise Institute. He also teaches senior U.S. military officers on security and politics in Afghanistan. The views expressed are his own. Late last month, Ashraf Ghani Ahmadzai was inaugurated as president of Afghanistan after signing a power-sharing pact with his electoral rival Abdullah Abdullah, ending a protracted political standoff that threatened to thrust the country into another civil war and complicate the U.S. exit strategy. 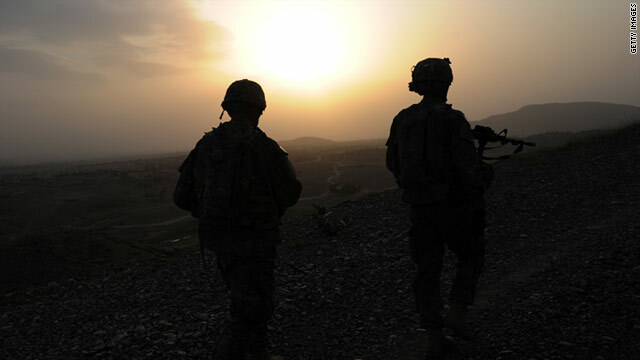 To the relief of its foreign allies, the new government also concluded long-delayed security deals that will allow 12,000 American and NATO troops to stay in Afghanistan beyond 2014. Fareed speaks with Indian Prime Minister Narendra Modi about the situation in Afghanistan, and asks for his take on the role Pakistan might play there. When you look at what is going on in Afghanistan – the United States is going to draw down its forces. Historically, Pakistan has always played a role in Afghanistan, usually by supporting the Taliban, historically at least. Do you worry that that may happen again, that as the United States draws down, Pakistan will try to increase its involvement, and that will have negative consequences for India? America will have learned from its experience in Iraq. I don’t believe that it will do the same thing with Afghanistan and that it will be on its own. My guess is that the United States will have a different policy in Afghanistan from what it had in Iraq. The other issue is that we want Afghanistan to become happy, prosperous and peaceful. It should live in harmony with its neighborhood and progress. We have a special attachment with Afghanistan. From childhood, every person in India has an impression in their hearts that a person from Afghanistan is very honest, good at heart…Our connection with Afghanistan is not with reference to Pakistan. We have our own cultural heritage, with deep relations. We want to see them happy, and in this process we want everyone to be together. We invite Pakistan to come and join us all together, for the happiness of Afghanistan. Editor’s note: Scott Smith is director of Afghanistan and Central Asia programs at the United States Institute of Peace. The views expressed are his own. This week’s attack at an Afghan military academy, which claimed the life of a U.S. general and more than a dozen troops, brought back like a recurring nightmare a problem that seemed for a while to have been solved – so-called green on blue attacks on U.S. and allied forces by disgruntled Afghan soldiers or Taliban infiltrators. The assailant had reportedly served at the academy for over two years. But regardless of his individual circumstances, it is difficult not to connect this killing with other signs of growing insecurity – a United Nations report citing a 24 percent increase in civilian casualties, a rise in Taliban attacks, and a number of recent political assassinations – to the political wrangling over the presidential election. After all, the election was supposed to produce the first democratic transfer of power in the country’s history, but has instead turned into a quagmire. This unending dispute is fraying the fragile political coalition that has held Afghanistan together since 2001, while emboldening the enemy and testing the patience of the international community. Editor’s note: Stephen J. Hadley is chairman of the board of the United States Institute of Peace and a former White House National Security Adviser. Kristin Lord is acting president of the United States Institute of Peace. The views expressed are their own. As the United States draws down its forces in Afghanistan and shifts from direct combat to the narrower mission of countering terrorism and training Afghan forces, some might think this is the time to declare “job done” and focus U.S. attention elsewhere. That would be a mistake. As the current violence in Iraq illustrates, the gains won by our military are fragile. Peace, once won, must be sustained. Afghanistan is now in the delicate process of laying the foundation for a democratic political transition – the first since President Hamid Karzai assumed the presidency. As many as 7 million Afghans, or around 60 percent of eligible voters, have twice defied the Taliban and cast ballots to select the country’s next president, first in the general election and again in this month’s runoff. “To contain a growing, increasingly confident insurgency as NATO troops withdraw, Afghanistan needs continued international support, including military, and the new government in Kabul will need to reinvigorate the state’s commitment to the rule of law,” the International Crisis Group noted in a report last month. But how likely is it that Afghanistan will receive the support it needs? And what can we expect next? Graeme Smith, the author of the report and a senior analyst with ICG, answers readers’ questions. How much success did NATO forces actually have? Was it more a case of displacing insurgents from one area to another, or was there genuine progress? Fareed speaks with Afghan presidential candidate Abdullah Abdullah about corruption, ties with Pakistan, and whether his government would talk with the Taliban if he was elected president. Watch the video for the full exchange, or watch the first part of the interview here. The question many people have about Afghanistan is about the corruption. There’s a sense that it is sort of out of control. We're talking about bagfuls of cash – millions and tens of millions of dollars – all this international aid that has been provided. Do you have any specific idea about how to deal with this, how to tackle it? The first thing which is necessary is the recognition of the threat which corruption is posing to the stability in the country and to the wellbeing of the Afghan people. It’s a serious challenge. It will be a serious challenge. And the first thing which is required is the political will. The political will will be there to deal with it, zero tolerance of corruption [at] the highest level. That is something that the people should feel, the people should sense, the people should see it from the first day of our government. And then, of course, there are certain other issues. There are legislative issues in that regard. There is the issue of law enforcement, rule of law. As a whole, we think that it’s a priority, and it will be a priority for the future government of Afghanistan and it has to be dealt with in outright manner. Corruption is not just the issue of international assistances. Within the system, nepotism and certain other aspects of this, part of it is due to the problem of drugs, narcotics, in the country. Part of it is the absence of rule of law. Fareed speaks with Afghan presidential candidate Abdullah Abdullah about U.S. troop levels and whether he would sign the bilateral security agreement. Watch the video for the full exchange, or watch the second part of the interview here. Let me ask you first the question that I think many Americans are wondering about, which is will you sign the agreement that will have American troops stay on in Afghanistan in some number, for training and such? As you know, President Karzai has been unwilling to sign the agreement that would allow American troops to stay. Of course. My position in regards to the bilateral security agreement with the United States has been that we need continued support, in military and security terms, from the United States and the international community. And that's the framework – a bilateral security agreement, or BSA, is the framework for that, for the continuation of military security cooperation in assessing the Afghan security forces and training of the Afghan security forces, as well as dealing with the threats which are around. So my position in regards to the BSA has been positive. And it has to be signed. And it will be one of the priorities of the future government of Afghanistan. Do you have a view as to how many American troops should remain? As you know, there's a big debate within the United States. Some people want it to be as low as 5,000 or even lower. Some say, no, you need about 20,000. Do you have a number? I don't have a number. That's a technical, military question. But at the same time, the aim or the mission as [it’s] defined, it requires a few thousand...the presence of a few thousand American troops, not as a minimum such as 3,000 to 5,000 American troops, but certainly more than that. But I am not in any position to give you a number. As U.S. troops prepare to withdraw from Afghanistan, Afghans are preparing to usher in their own new era. Soon, the nation could witness its first ever democratic handover of power. So, what if we told you that Afghanistan seems poised to effectively navigate this transition? In other words, what if we told you that Afghanistan could actually work out? Almost two months ago, Afghans headed to the polls in record numbers. The election went remarkably well. 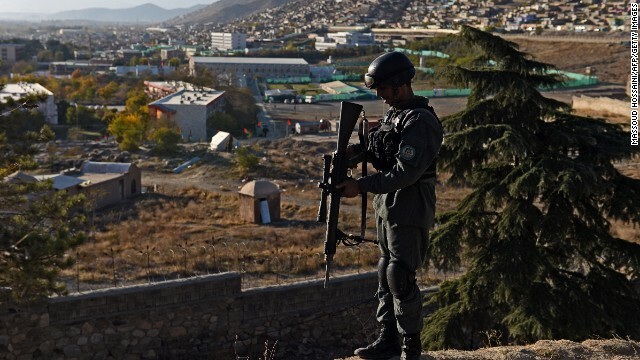 Afghan security forces performed better than anyone expected. There were few reports of ballot stuffing or corruption that had marred the 2009 election of Hamid Karzai. Since no candidate secured more than 50 percent of the vote, there will be a run-off in June. And two front-runners have emerged. Guess what? They're both great – highly qualified, modern, reformist and articulate. Compare them to the hardline Shiite thugs running Iraq and you will see a world of difference. Abdullah Abdullah, a former leader in the anti-Taliban Northern Alliance and a trained ophthalmologist, secured 45 percent of the vote. Ashraf Ghani, a former World Bank economist, garnered nearly 32 percent of the vote. Honestly, either would mark a significant improvement for the future of Afghanistan and for Afghan-U.S. relations. Topics: Afghanistan • GPS Show • What in the World? “To contain a growing, increasingly confident insurgency as NATO troops withdraw, Afghanistan needs continued international support, including military, and the new government in Kabul will need to reinvigorate the state’s commitment to the rule of law,” the International Crisis Group writes in a report released this week. But how likely is it that Afghanistan will receive the support it needs? And what are the next government’s chances of success? Graeme Smith, the author of the report and a senior analyst with ICG, will be answering readers’ questions on the future of Afghanistan. Please leave your questions in the comments section below. Editor’s note: Frederic Grare is a senior associate and director of the South Asia Program at the Carnegie Endowment for International Peace. The views expressed are the writer’s own. 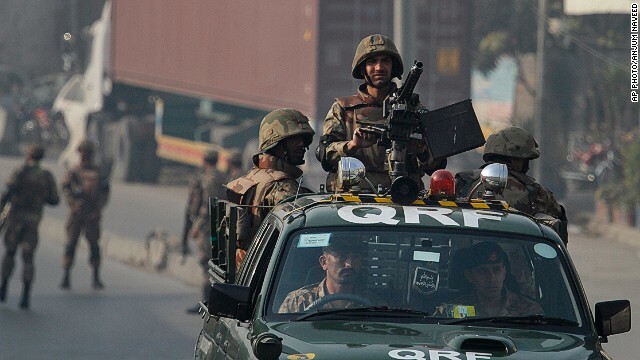 Pakistan’s military is set to launch a major military operation in North Waziristan, AP reported this week, after weeks of hesitation over its strategy of negotiating with Tehrik-e-Taliban Pakistan (TTP). Yet although the expected operation follows the killing of 23 Pakistani soldiers last month by a Taliban faction, it seems likely to have been motivated by something more than a desire to retaliate and coerce the TTP into talks. Whatever the motivation, it will have a significant impact on the country’s relationship with its weaker neighbor: Afghanistan. In early 2012, Pakistan’s Foreign Office publicly declared a “strategic shift” in its thinking on Afghanistan, and began promoting its own version of an inclusive reconciliation process, as well as actively reaching out to elements of the Northern Alliance. Islamabad adopted this new policy after concluding that its strategy of supporting the Taliban alone was unlikely to produce a “friendly” Afghanistan (in other words, one under close Pakistani influence) because the Taliban is, for now at least, simply not capable of taking the reins of power on its own. Editor’s note: Javid Ahmad is a program coordinator for Asia at the German Marshall Fund of the United States. Ahmad K. Majidyar is a senior research associate at the American Enterprise Institute. The views expressed are their own. Twenty five years ago this month, the last Soviet soldier marched out of Afghanistan, bringing an end to a nine year occupation that cost the lives of 15,000 Soviet troops and more than a million Afghans. With the close of the Cold War, the West lost interest in the region and Afghanistan became a proxy battlefield for subversive regional power play. 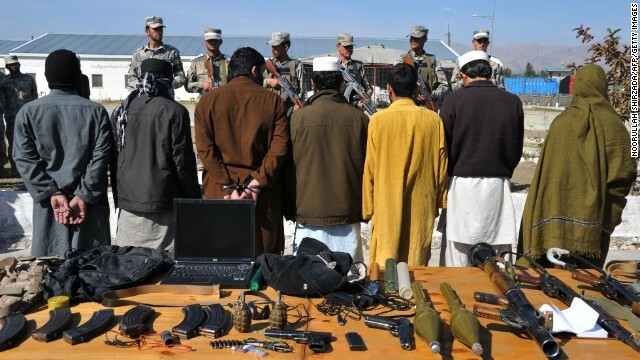 Infighting between competing Afghan mujahedeen factions brought anarchy, paving the way for the Taliban and al Qaeda. And now, as the drawdown of international forces approaches, there’s growing fear that history might repeat itself. It doesn’t have to work out the same way. For a start, while the political system in Afghanistan is far from perfect, it enjoys far greater support and legitimacy among the Afghan people than the communist regime did in the 1980s. While Afghan presidents back then were effectively appointed by the Kremlin, Afghans today have elected their own leader – and will head to the polls in April to pick a successor to Hamid Karzai. 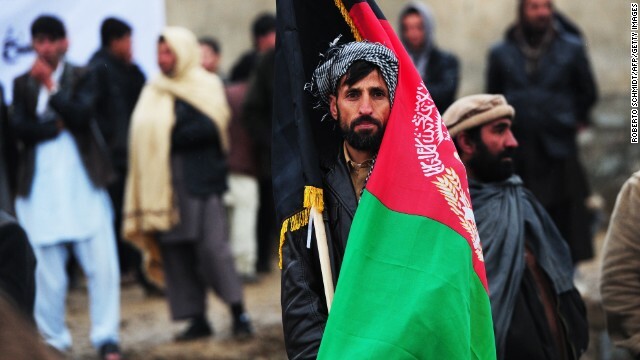 And despite growing pessimism in the West about Afghanistan, Afghans generally remain optimistic about their future: an Asia Foundation survey last year found that a majority of Afghans (57 percent) believed their country was moving in the right direction.